Decorative Life: 7-14 plus days. As a member of the Dryopteridaceae family, its’ relatives include Adiantum, Asplenium and Dryopteris. Fronds (leaves) are pinnate in form, up to 36 inches long in spreading clumps. Named after Carlo Matteucci, 19th century Italian physicist. 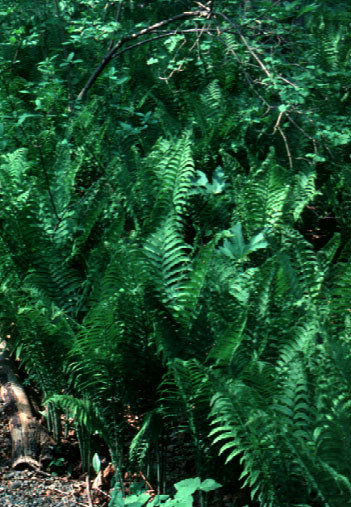 This species is a very favorite garden fern for moist areas. It spreads by underground rhizomes to form clumps of tall green-yellow growth called shuttlecocks.